Summer can't be too far off if the Calvin Klein Summer editions are here. Eternity Summer is as always a new scent, and this year is very different from last year. Eternity Summer 2013 is a light, soft floral that dries down to a scent that stays somewhat close to the skin . There are no dewy notes here, which to me, is a very good thing. Nor any overdose of musk, which is there but with a light hand. Instead it's sunny wisteria tinged with a hint of bergamot in the beginning and a little of the osmanthus note . The drydown stays fairly close to the middle section with a hint of the white amber note to ground it. It feels more spring than summer, but nice in either season for the warmer temps when you might want something that won't overpower and feels airy on. Calvin Klein talks of it having a "seabreeze freshness" and while I don't smell the sea here I agree with the breezy part. 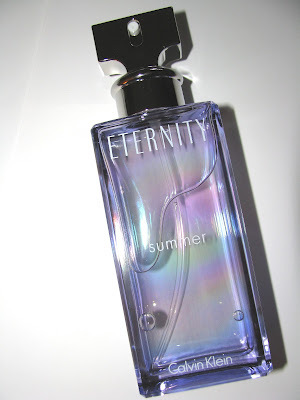 Eternity Summer eau de parfum spray is $ 58 for 3.4 oz/100ml and is available now at Macys and other department stores. 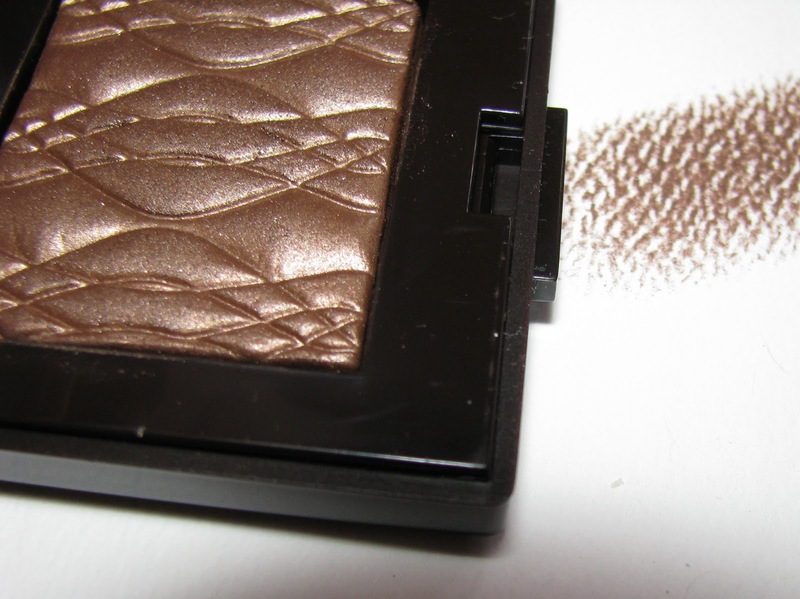 In my world there is always room for a new, good brown shadow. Earth Glow is one of the 3 new LE shadows from Laura Mercier's Spring/Summer collection- Folklore. 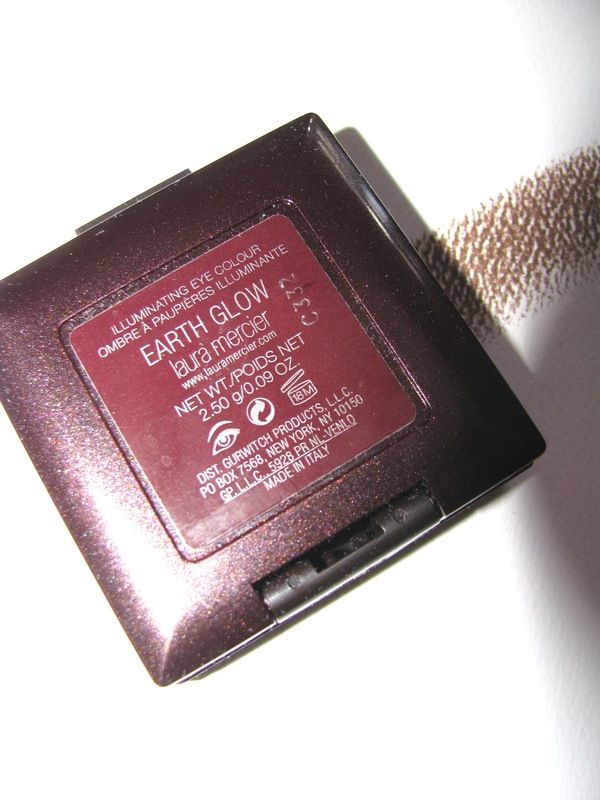 Earth Glow is a rich , deep chocolate brown with shimmer. 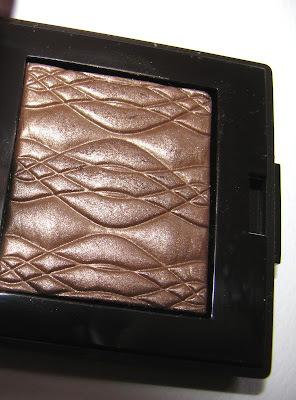 It's the Illuminating formula, which is the same as the shadows in the Art Deco Muse collection. These new shades feature a tribal motif carved into the shadow. Earth Glow is great for a brown smoky eye , or can be used as an accent or liner. It's smoothes on, blends easily and wears well. On me, keeping in mind how bad my eye makeup melt is, I got 3 hours. For me that is good. You may read that and think, that's it ? Remember your mileage may and most likely will vary. I'm the person who is lucky to get 1 hour out of many shadows . 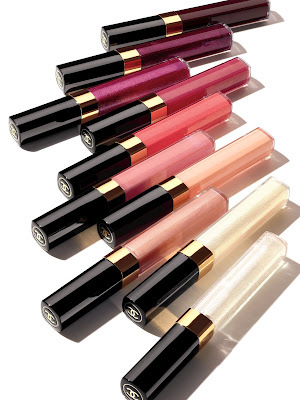 These all will be hot summer shades to complement many looks as well as set off a (self) tan . I talked about the great new lip pencils from Laura Mercier's Folklore collection here, if you want to see more from this line. 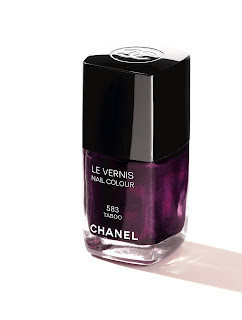 Launching April ( so very soon) is a mostly new collection of Glossimers from Chanel as well as the appearance of Taboo nail lacquer on counter. These new Glossimers, Collection Revelation, run the shade spectrum from clear to bold burgundy. 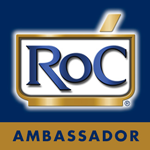 * Amour, Aragonite , Plaisir , Seashell and Mica are re-promotes. Lip crayons/pencils are pretty much everywhere right now. That doesn't mean I'm tired of them at all though. The more the merrier, right ? 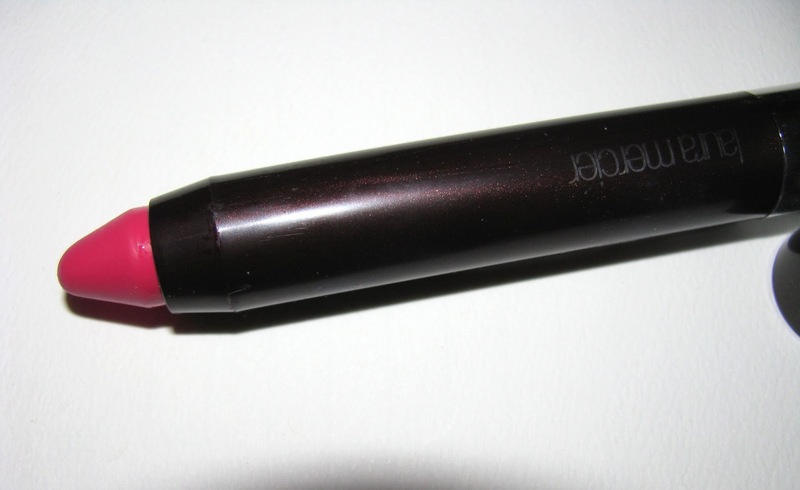 So let's look at the new lip crayons from Laura Mercier , part of the new Folklore collection. Three shades are debuting within this Spring/Summmer collection .Shown is the shade called Folklore. It's a hot pink shade , where the other 2 are neutrals. 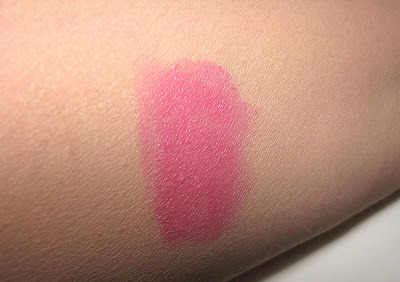 The pigment of the crayon is good , light but not super sheer with no shimmer. It goes on less bold that the crayon bullet looks so don't be afraid if you aren't sure of bold colors. 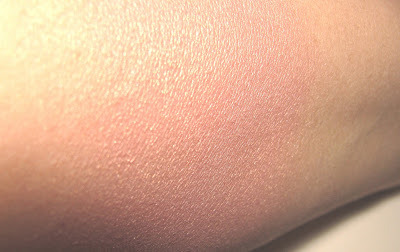 I like 2 coats to get the coverage I prefer and that's what's swatched, but one does a good job for lighter coverage. The moisture level is good as well. Not heavy, but lets say, medium. More than enough to keep lips soft and hydrated for awhile. The crayon has plenty of slip and covers the lip well. Wear wise, I got about an hour and half of color with moisture lasting beyond that. 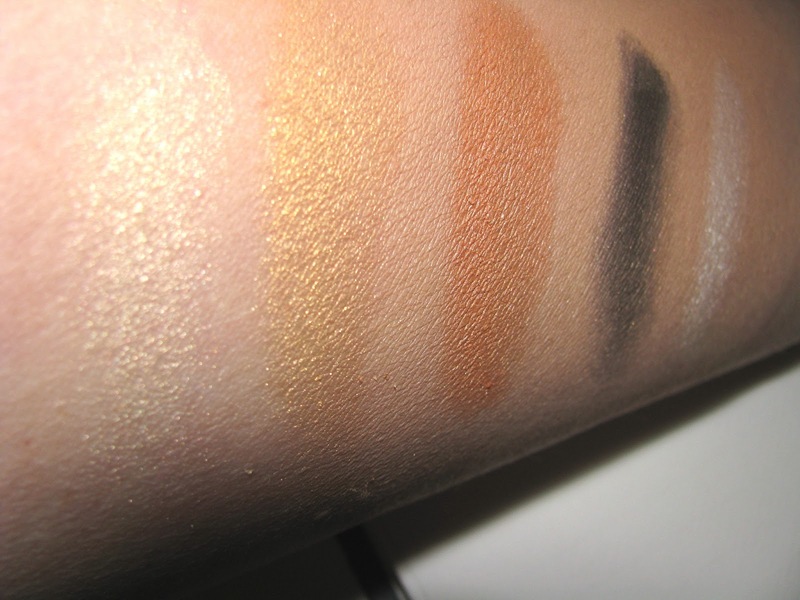 The other 2 shades available now are Mayan Sun (orange- peach) and Burnt Clay (deep brown). These are LE and $ 22 each. Spring can be scarf time as much as fall winter . Warmer but still cool temps mean you might need a little extra to cover up with. 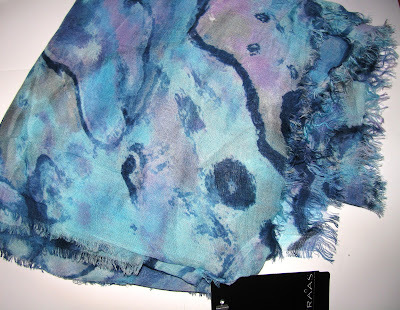 FRAAS has released their new seasonal line and the Mystical Waters scarf is one of the new patterns. It's a splash of colors in either blues/purple or coral/pinks shades. 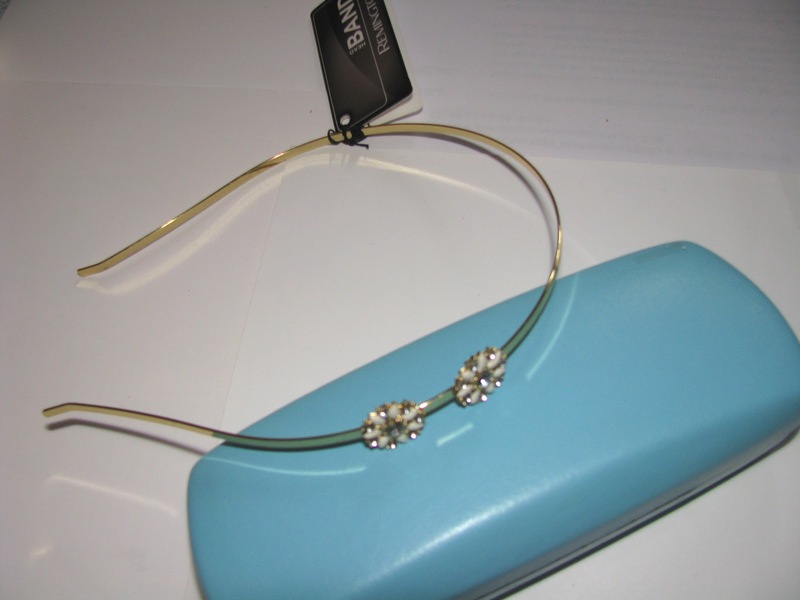 The turquoise blue is what I have here. It's a large and easily is a wrap with it's size of 40 x 72 inches. 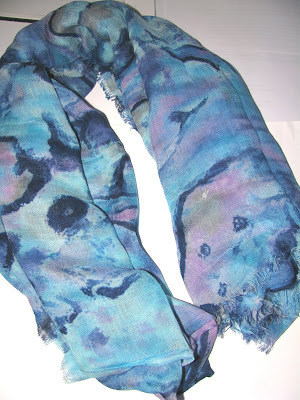 It has raw edges and is made from super soft and light viscose. That makes it easy to stow away in a purse or tote bottom for last minute use. The colorways are great to perk up deeper colors or bring a pop of color to a white ensemble as well as looking good with bright or regular denim jeans and a T.
Retail is $ 48 and available at www.fraas.com as well as select styles at Amazon. Accessories are one of the quickest ways to change up a look, or dip into a trend. Hair accessorizes like jewelry , are also simply fun. They can help a bad hair day or just add some color to your look. Remington has a new selection at Target stores that covers a lot of what Spring and Summer looks are about. 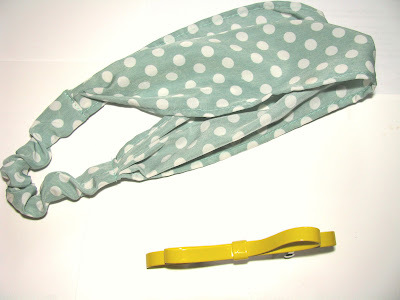 Preppy stripes and polka dots, pastels and brights. 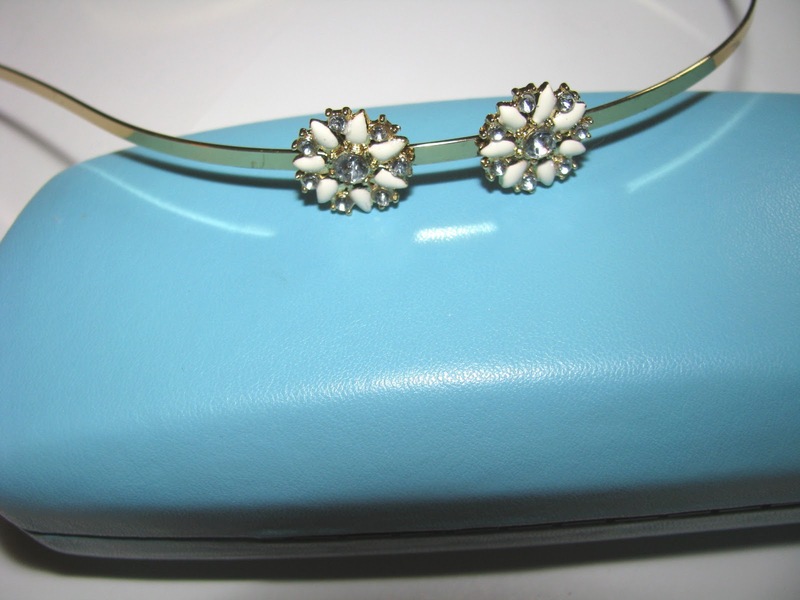 There are sheer, pretty headband wraps that channel a '60s Mad Men, retro vibe , colorful bobby pins in both brights and pastels , bow clips and delicate floral wire headbands. The prices are all under $10 with headwraps beginning at $5 and hair pins at 2.50, making them an inexpensive way to play with your look(s) . 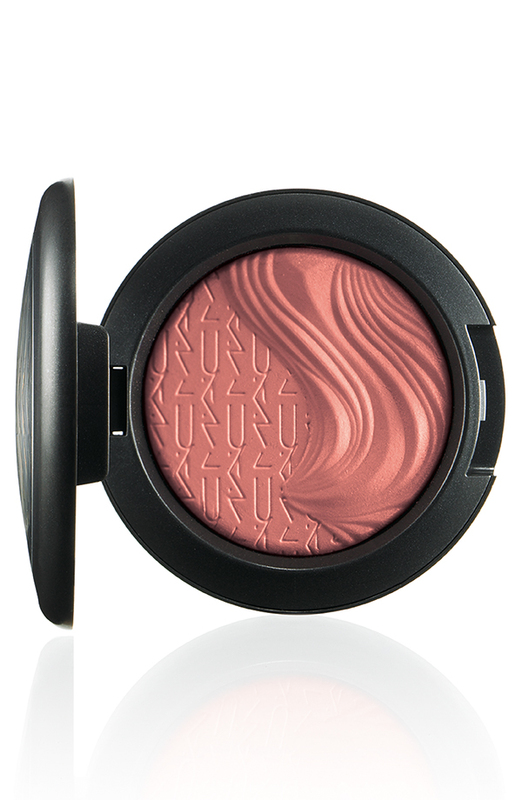 Exciting news fron MAC today, or at least exciting for those of us who love the In Extra Dimension line. I Love, capitol L , the Extra Dimension Skinfinish. I use mine all the time , usually several times a week. The deeper shade Glorify being the fav. I use it as blush and it looks so good. For Spring/Summer there is a new collection featuring dual sided Skinfinish , and NEW Extra Dimension blush , plus new eyeshadows. The line will hit counters on April 11th. Here's a look at the full lineup as well as a few close ups. I will post new photos as soon as I see them in person. 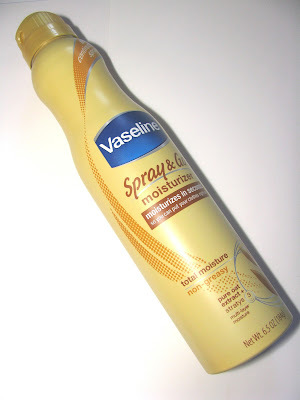 Vaseline' s new Spray and Go lotion is the hot product of the moment , it's getting so much buzz. It's unique ,different and works. A good formula. I fully expect to see it take many honors in beauty awards late this year and next. 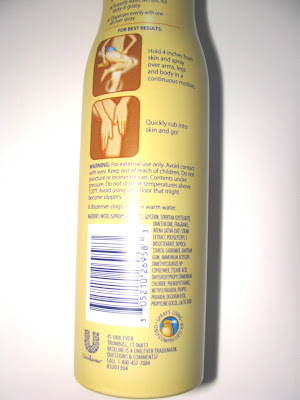 Do any of you remember the spray lotion Bath and Body Works had 10 years ago or so ? It was nice but a pump aerosol so different than the Vaseline. Of course it didn't stay in stores for more than a few seasons so it mustn't have been popular. I thought then spray lotion was a good idea and I still do. One of the best features of the Vaseline is how fast it dries. In seconds . So fast that you wonder if you really got any moisture, but you know you put it on and your skin feels like it's gotten some hydration so it must be working. It's lightly moisturizing , not heavy . 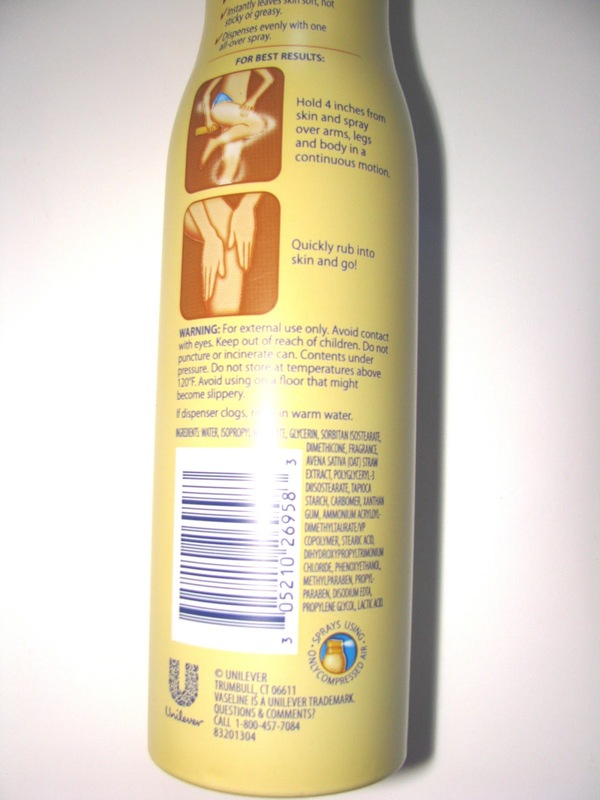 It won't take the place of heavier butters and creams but is a dream for people who can't stand having any sticky lotion on them, for times when you need to get out the door fast and want lotion but have to put clothes on immediately and any other time you 'd like fast drying. The gym, bedtime whatever. It also will be nice in summer when we don't want anything heavy . I use the Aloe Fresh Gel all summer and can see the Spray and Go version of that being great then as well. The spray comes out pretty strong and in a wide arc. You then rub it in skin. Spray and Go has a twist lock top that opens to spray, twists to close which prevents spillage. Three versions : Aloe Fresh, Total Moisture and Cocoa Radiant. Each are $ 7.99 sugg. retail . 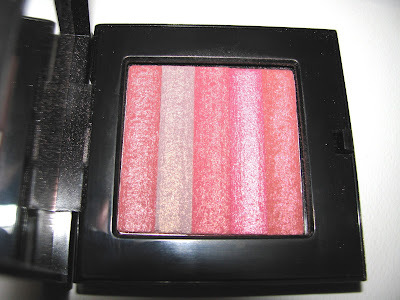 It's new Bobbi Brown Shimmerbrick time. Part of her Lilac and Rose collection is the Lilac Rose shimmerbrick. Lilac Rose is as you might guess all about the pinks and rose, and it really brings the shimmer. It's less pigmented than it looks leaving more of a highlight than color. The pinks are bright in the compact but light on the skin . I don't think it will work as blush but as a brightening highlighter it will be lovely for Spring. Available now for $ 42 and it is LE. 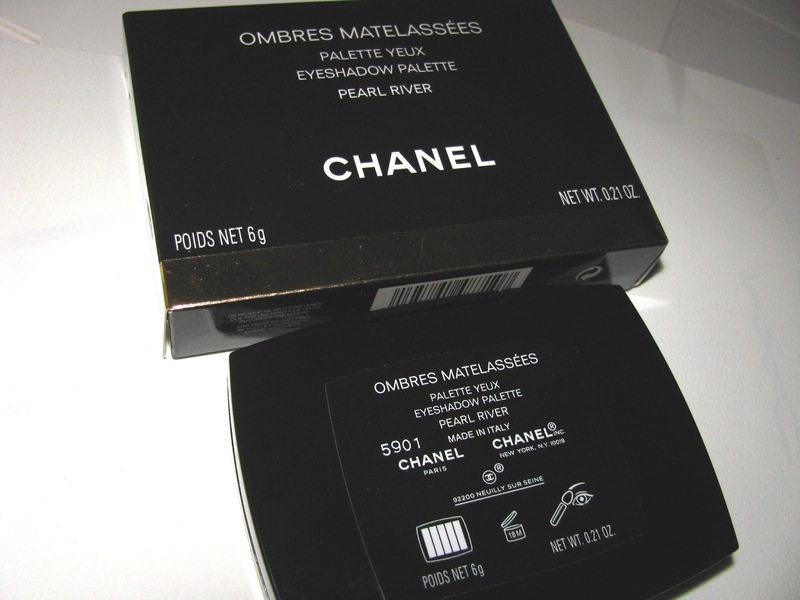 Pearl River is the new Ombres Matelassees eye palette from the Hong Kong Collection. As with most Chanel palettes, it's seriously pretty. 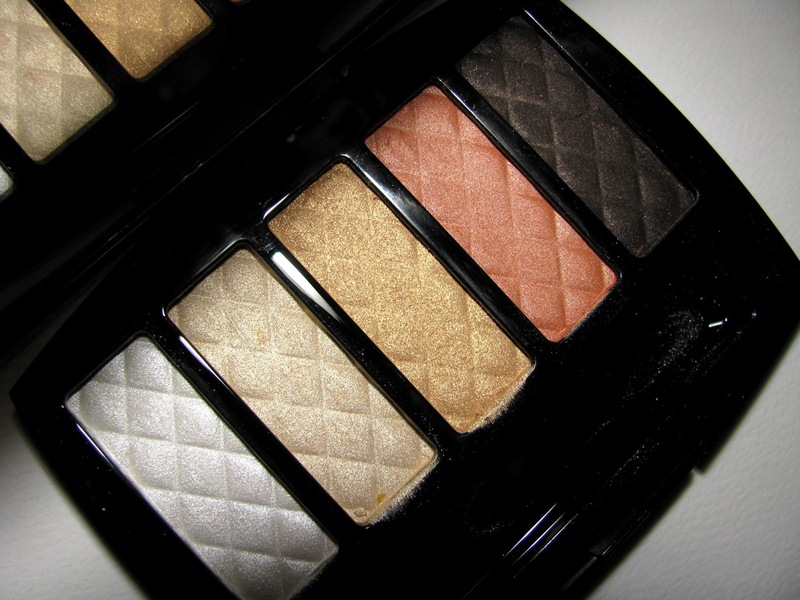 A selection of 3 earth tones and one silver that is especially great for those of us with green eyes. 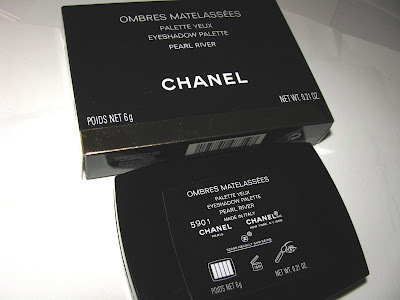 All colors can use it and will love it, but green eyes , it rocks on them. Is it very unique ? Well maybe not. 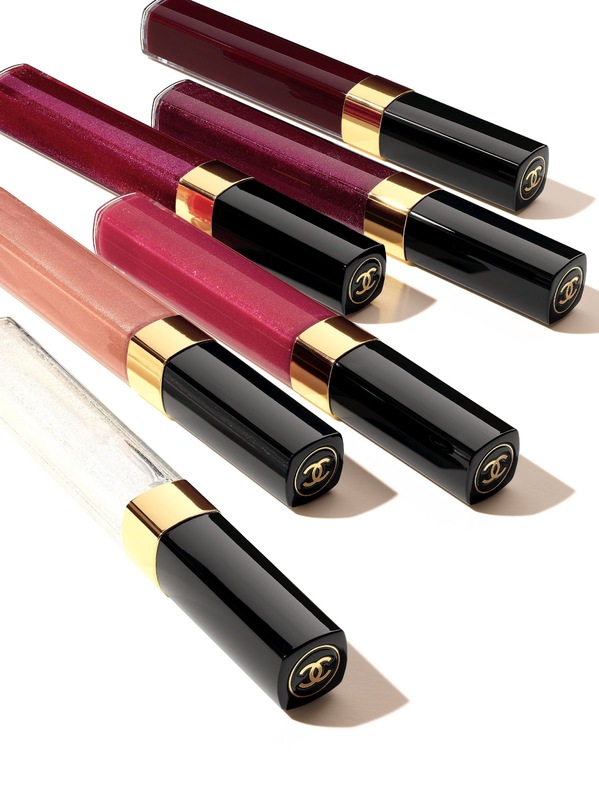 You might find these colors in other palettes but not all 5 of them in one and let's face it, we all swoon for a new Chanel eye palette . They occupy a place all their own. The shades here are golds, deep brown, the sunset colored orange shade and then there is a high shimmer silver white. That one will really brighten up eyes . All have shimmer to them and the embossed Chanel quilting. The brown goes on full pigment, the others with a slightly lighter look. The odd shade for most will be the orange-ish one. Me, I can wear that color well , so this whole palette is right in my wheelhouse. I am thinking of pairing with Captivante Rouge Allure and /or Brilliant Rouge Coco. You know when you see a new product and it seems like a neat idea, but you're skeptical ? Well The Wet Brush was one of those items. It looked good, but was it really ? Only one way to tell and that was to test run it. The Wet Brush looks pretty much like most brushes out there, but it is made to be used on wet hair as well as dry. It's supposed to detangle quickly and without any pulling on wet hair. Does it work? Yes, it most certainly does. It slipped through my wet hair easier than a comb. I have thick hair but it's not to prone to knots. Some at the back but that's it so I didn't have to worry about knots for the most part . I have to say I was impressed and it works well on dry hair too, gliding through easily. What makes it work on wet hair ? The creators say it's "intelliflex" bristles, that are ultra thin and flexible, bending as needed and snapping back.It works on thick or thin hair. The Wet Brush is great as an every day brush but would be also be just the thing for gym bag or by the beach or pool. Mine is going straight into the bag with the poolside gear . I always mess with my hair a little after swimming and usually just have a small comb handy. This will be so much better. 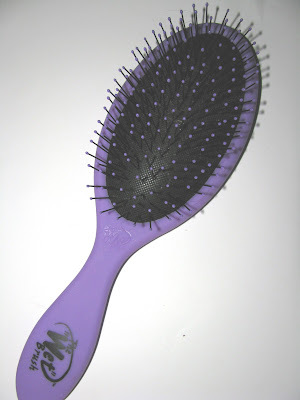 The Wet Brush is $ 14 and comes in many colors or patterns. When Frederic Malle releases a new scent, any fragrance lover stands up and takes notice. Dries Van Noten for Frederic Malle certainly cause for excitement here at my desk. This new scent is also the beginning of a new series, Perfume Portraits. Malle says "In 2010, ten years after founding Editions de Parfums Frédéric Malle, I decided to start a new perfume collection, the purpose of which would be to translate the world of people and brands that I admire into scents: Perfume Portrait by Frédéric Malle." 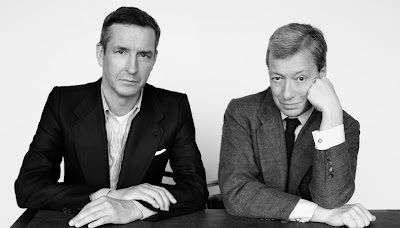 Dries Van Noten, the esteemed Belgian fashion designer , is the inspiration for Dries Van Noten par Frederic Malle. Dries is based around pure sandalwood and that note informs the whole fragrance from beginning to end. The fragrance is rich , spicy and a little smoky but not heavy. It's cozy , radiating warmth despite some cool notes peeking out here and there. The clove and nutmeg alongside the sandalwood help achieve this. I get very little of the floral notes , and as it dries down the vanilla comes out. It's a milky but not too sweet vanilla . The cool , green feel flashes in and out and reminds of rooty iris . My initial thought was it's a perfume that reminds me of a well used library, fireplace going, hard wood floors and dusty volumes of leather bound books. It doesn't exactly smell like that , mind you, that was just the picture that formed for me. It very much is a comfort scent but in no way boring. It's also mostly linear, meaning there aren't a lot of changes from initial spritz to drydown. That is not a bad thing and in no way takes away from it's beauty. A scent done well is done well no matter how many or little notes play out in it and it is easy to tell quality is very present in Dries . Dries took 18 months for perfumer Bruno Jovanovic to create and the cues that Malle gave him included themes the designer was known for like Indian embroidery, along with the Flemish dessert of speculoos biscuits and waffles. Jovanovic then came up with creating it around natural sandalwood. Dries Van Noten par Frederic Malle is exclusively at Editions de Parfums Frédéric Malle, 898 Madison Avenue, New York and all Barneys New York Stores and Barneys online. 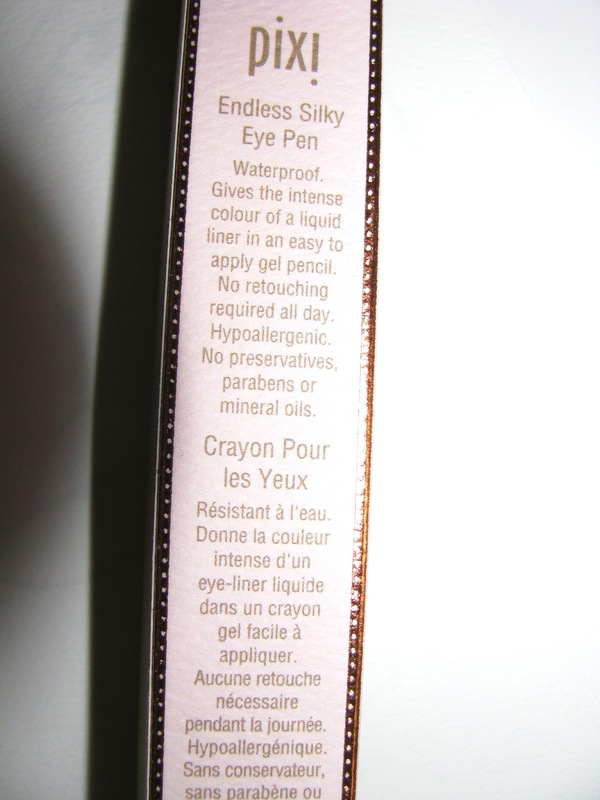 Pixi's eye pencils are a favorite. They have such slip and glide over eyes easily with lots of pigment but are long lasting as well.They have shine to them and a creamy look/feel that blends so well. 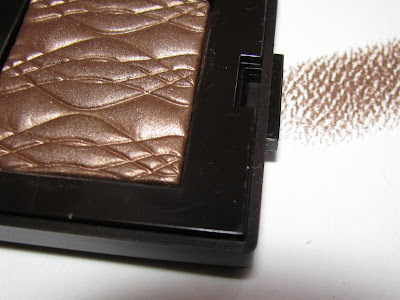 I love the shimmery olive shade 2nd Star Twinkle from the Tinkerbell collection( still available online) and now new to the line is Copper Glow, a rich copper brown shade and perfect for me . 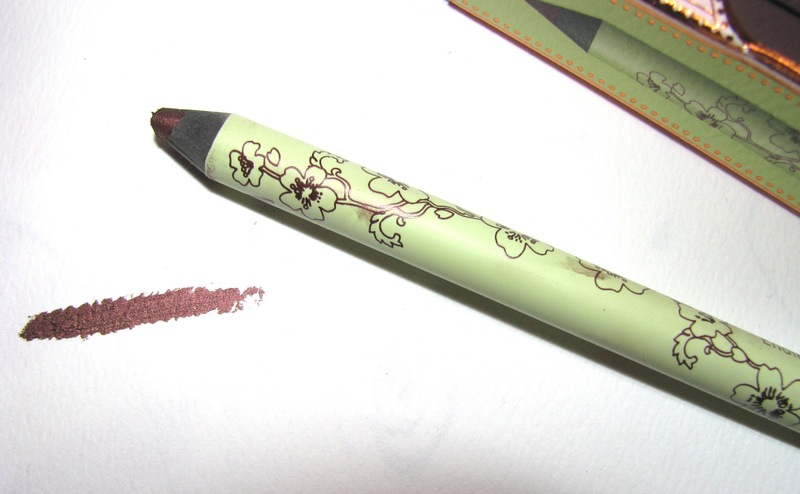 If you love Pixi already then you might like this new shade and if you are looking for an eyeliner that won't drag on your eye then this is a great one. 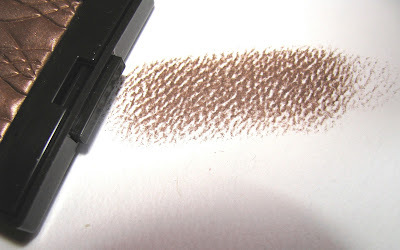 You can also easily use it smudged for all over color if you wanted. 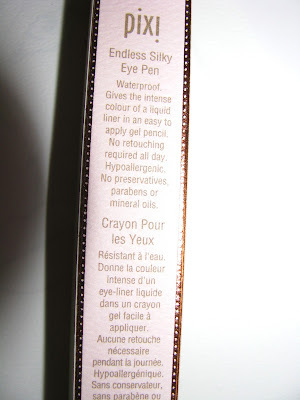 You can see all 10 shades of Endless Silky Eye Pen at www.pixibeauty.com or Target stores. $ 15 each. One of my biggest peeves with face wipes is that the ones I've used, while nice, always seem to not be deep cleaning enough. And my face feels like there is residue left or feels likie it's had added moisture. Now for many people that's good no doubt. Not me. 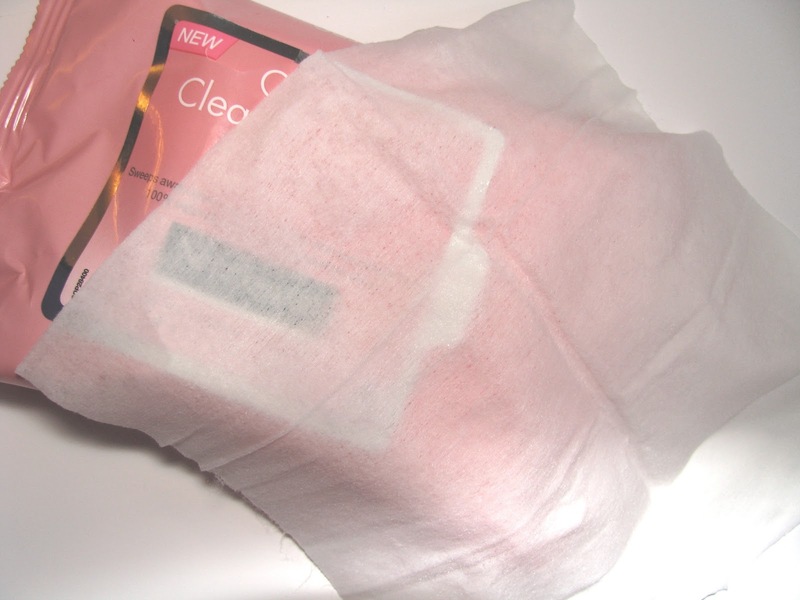 Which is where Neutrogena Oil Free Pink Grapefruit for Acne Prone Skin Wipe comes in. I've heard some fellow bloggers talk about these but only just tried them myself. Shame on me for waiting as I love them. They get my skin clean, clean, I didn't even feel like I needed toner after and skipped it all together . These have salycyclic acid to help beat oil and clean pores and they have a fabulous zippy grapefruit scent. 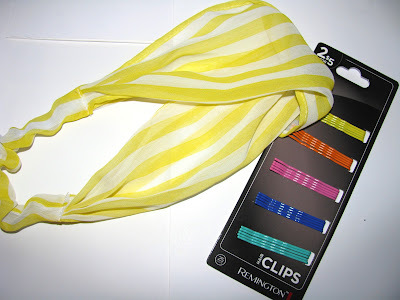 When summer arrives and my skin is in sweat and oil overload, I know not pretty , but true, these will come in so handy. If you have oilier or acne prone skin and have been looking for a wipe that works, these oldie but goodies might be for you. Dial 's new lotion offers 7 days of moisture after 14 continuous days of use. Pretty good , right ? Handy to be able to ditch the lotion for a few days. There are 2 versions of 7 day and I have the Skin Therapy with Himalayan Pink Minerals. Himalayan Minerals, I assume , are Himalayan Pink Salts . Minerals are good for skin and Dial says there are 84 in here. And the scent here is really nice, a bit of dewy florals, so I'm good with that. 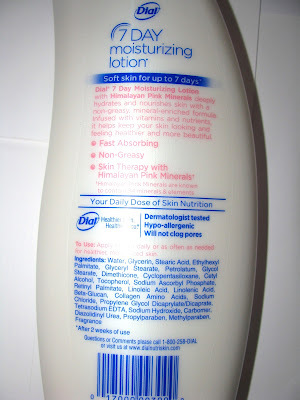 What I like most about this lotion is how smooth it makes my skin. It makes no claim to smoothing nor is there any lactic or glycolic acids that tend to offer smoothness yet my skin feels extra smooth with this, even my hands have benefited. 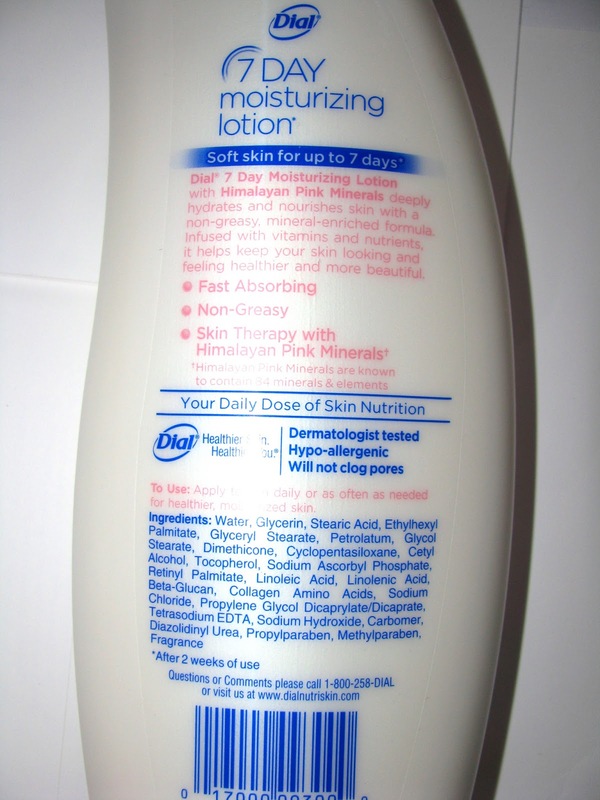 It moisturizes well and as stated, dries fast. This is a good choice for when you have to get dressed fast or are hopping into bed. It's very light yet hydrating. To answer the question, does it work for 7 days, well I can't say for sure. I haven't used it 14 days straight, which the directions say you need to do. I've done 9 days. And I still need lotion either every or every other day. But that's not 14 obviously. Either way, it's a nice lotion choice at a nice price . 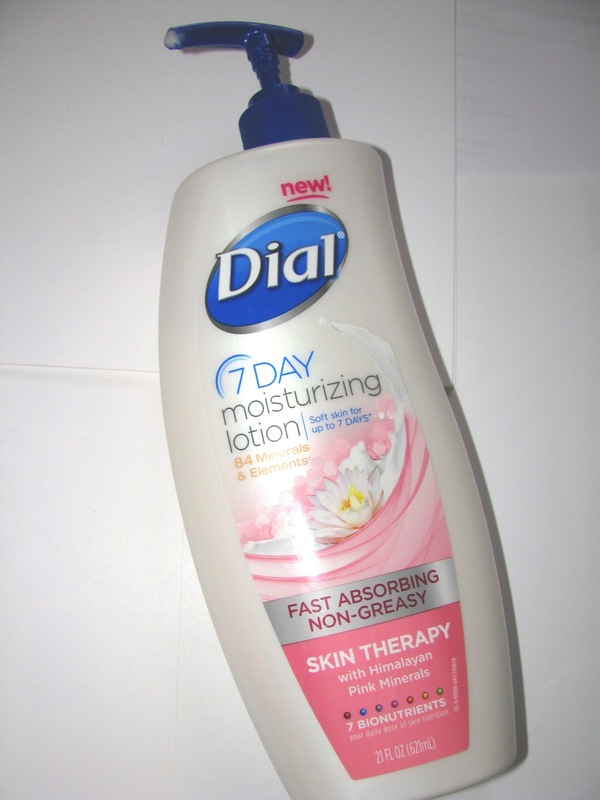 Dial 7 Day Moisturizing Lotion comes in Skin Therapy with Himalayan Pink Minerals and Extra Dry with Shea Butter along with Firming and Dry Skin varieties. Retail is $ 6.99 for the 21 ounce pump bottle or $ 4.99 for 12 ounces. Right now Dial is having a contest to give away 200,000 free samples via their Facebook page.No idea when the contest ends, check there for details. 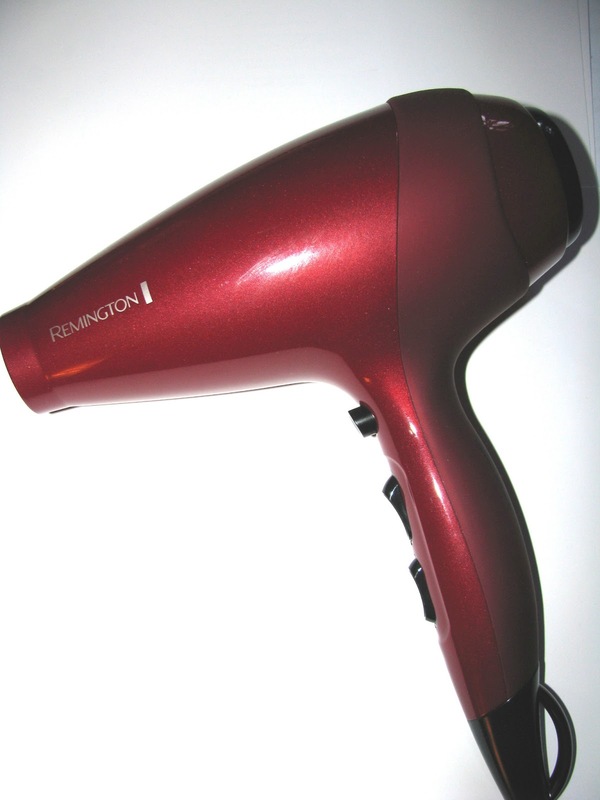 Looking for a new hair dryer or how about hot rollers? Remington has a new line with these as well as curling wands and flat irons. I've been on the lookout for hot rollers. Now that my hair is long I can use them. And if you want a truly big hair look, rollers are the way to go. I tried the old set hiding in the closet but no go. The clips wouldn't hold my hair. It was time to find something new. I even tried velcro ones , which aren't bad but need loads of time. This new T Studio Heated Clip Setters ( $ 32.99) set gets the job done and well. 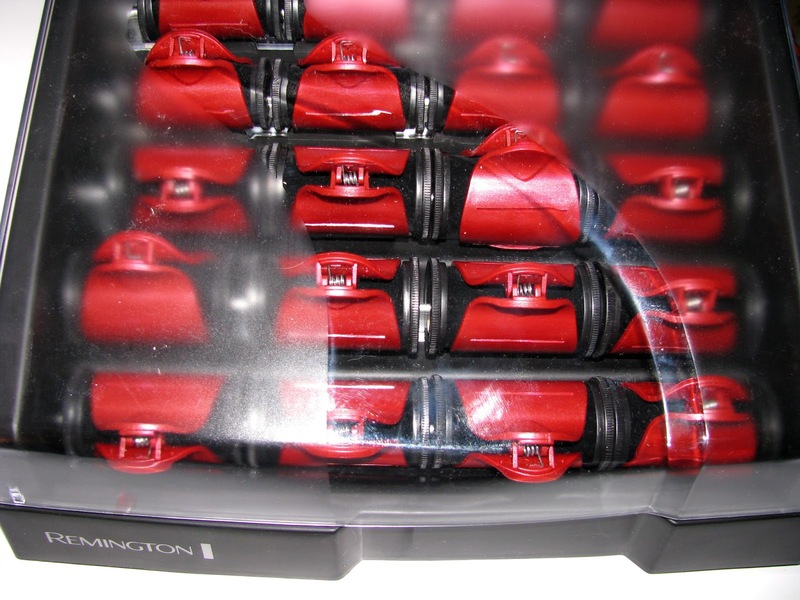 These rollers heat up in 90 seconds( although I do give them a bit longer just for max heat) and have clips that heat up as well for heat styling on both sides of hair ( beware though, they are hot on hands , just not as hot as the rollers themselves). They set hair as quickly as 5 minutes but the longer you leave them in the bolder/stronger the curl will be. I usually go 10-15 minutes. Which still isn't very long. You can come home and want to set your hair for a night out and be done in 15 minutes , maybe less. T Studio uses Silk Ceramic Ionic Technology to protect hair , sealing the hair cuticle banishing frizz. As hot as these get I haven't noticed any damage to hair or it even feeling dried out. Want your hair too look like Adele's at the Oscars? Try these. 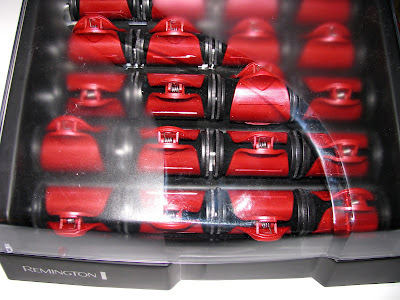 There are 2 roller sizes in the box, 1" and 1 1/4 inches. 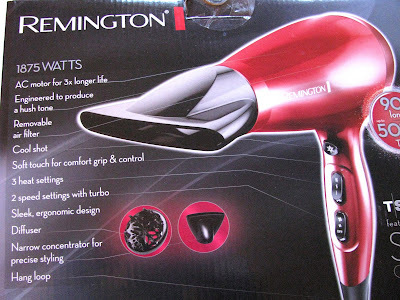 Also new is the matching Hair Dryer ( $ 24.99) at 1875 watts of air power. The nozzle opening is 1 1/2 inches which is smaller than my other dryer. At first I wondered if that would make a big difference but it hasn't. Hair dries fast and that smaller opening does work well for styling sections with a round brush. 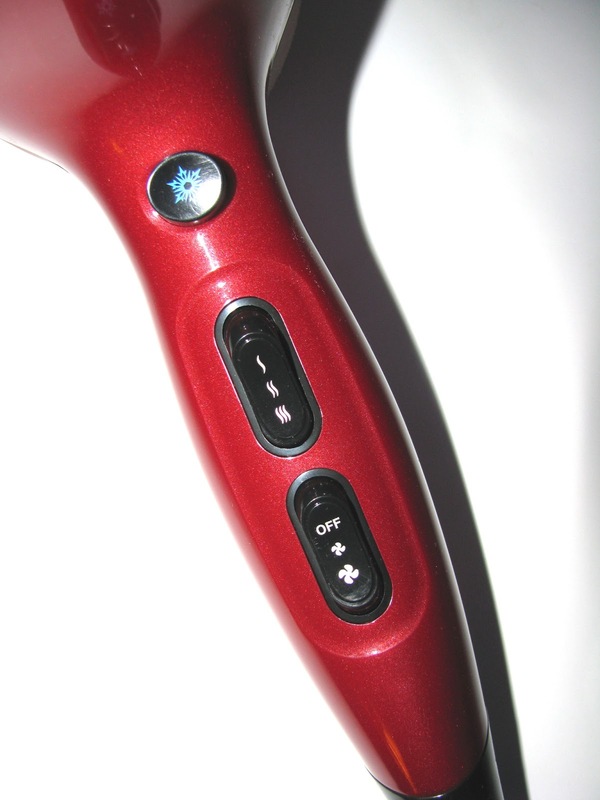 The T Studio Silk Ceramic hair dryer has 3 heat settings , a diffuser and an ion generator light on the top that shows ion feature is active. The dryer features 90% more ions than traditional ones. Remington's T Studio Silk Ceramic line is available at Target, Wal Mart and Remington. My Target was stocking an end cap with these last weekend.